Pre-ground chili powder is convenient; however, the longer ground chili peppers sit on the supermarket shelf or in your pantry, the more flavor they lose. 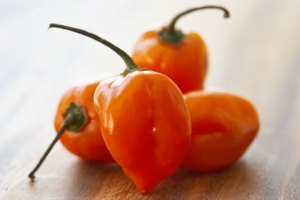 The oils that give the chili peppers their heat react with the oxygen in the air; over time, even the spiciest chili powder will lose its bite. For the freshest chili powder, grind your own. 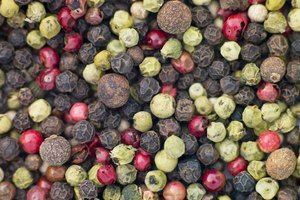 Making your own chili powder also allows you to control its heat level and flavor profile: try a mix of smoky chipotle and sweet cascabel chilies, or temper the heat of cayenne peppers with some mild anchos. Toast the dried chili peppers in a dry frying pan over medium heat for about 5 minutes, or until they begin to turn brown. Toasting the peppers removes any residual moisture and brings out their flavor. 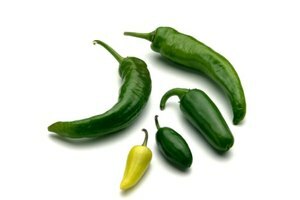 You can also put the chili peppers on a baking sheet, then toast them in a 325-degree oven for about 8 minutes. Remove the chili peppers from the pan and let them cool down. Remove the stems and seeds from the peppers, then tear them into small pieces. Grind the chili peppers by hand using a mortar and pestle. This method produces the best flavor, but is by far the most laborious and time-consuming. Place the torn-up chili peppers into the mortar, or bowl, then grind them against the side and bottom of the bowl by turning the pestle in a circular motion. Continue grinding until the chili peppers turn into a coarse powder. Move the ground chili peppers to an airtight container. Store the container in a cool, dark cupboard, or in the refrigerator. For a hotter chili powder, leave some of the seeds in. Clean the coffee grinder thoroughly after grinding chili peppers in it. 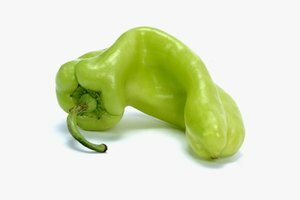 The dust created by grinding chili peppers in a coffee grinder can irritate your nose, mouth and eyes; wear a medical mask and goggles to prevent this.